Amongst the new bands is an updated version of Tea Rose Applique style in Chalk white with slightly relocated flowers. 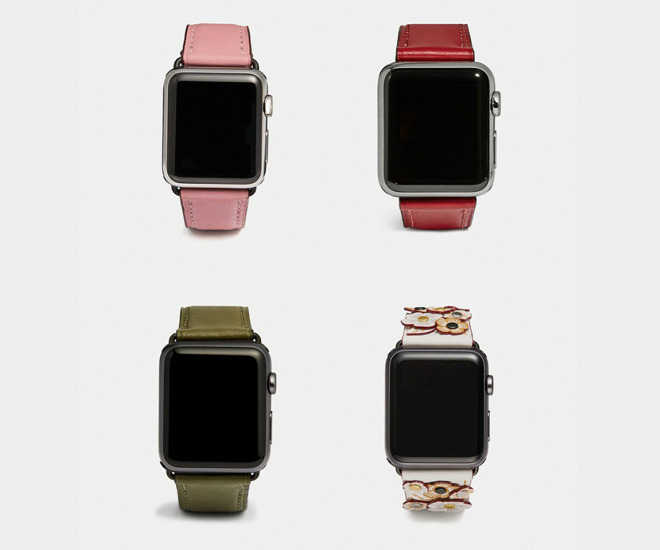 The other changes are three new colors to the simple Apple Watch Strap in Fatigue, Jasper, and LT Blush, which is fashion-speak for green, red, and a light pink. The Tea Rose Applique and Forest Apple Watch Strap are available in 42mm and 44mm and the Jasper and LT Blush are only available in 38mm and 40mm. All bands will retail for $150 except the Tea Rose which carries at $25 premium over the others. The last time Coach updated its bands was back in October 2018 when they also released a few new colors and updated styles for winter. Haute Eriture was first to spot the new bands, which are available directly from Coach. Want to pick up an Apple Watch Series 4 to pair with the new Coach bands? Series 4 devices are currently on sale at both B&H Photo and Amazon, with discounts of up to $30 off.